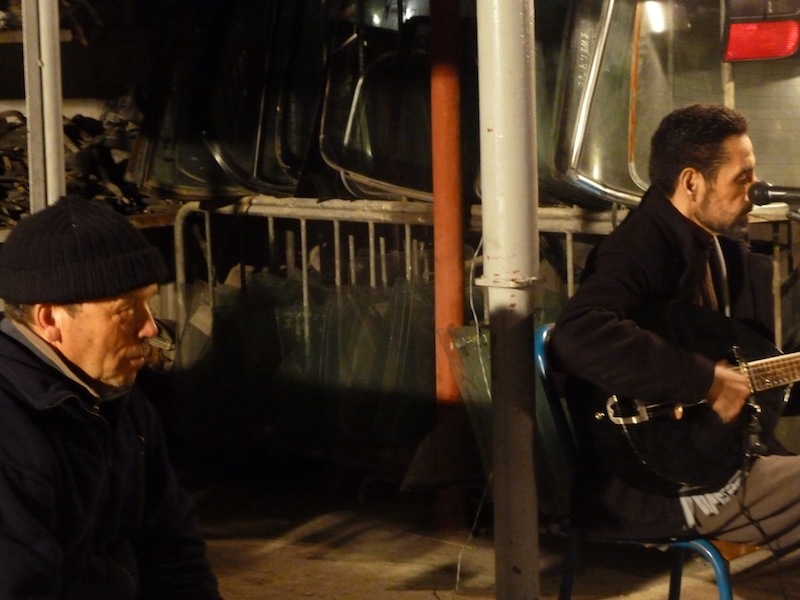 On a recent trip to Tangier I found myself heading off to a mysterious destination out east beyond the train station, walking in the dark along an almost deserted road which curved around the base of the Charf hillside. 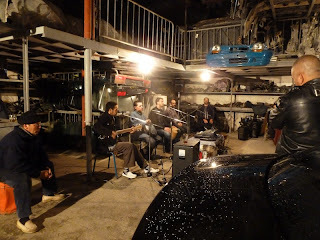 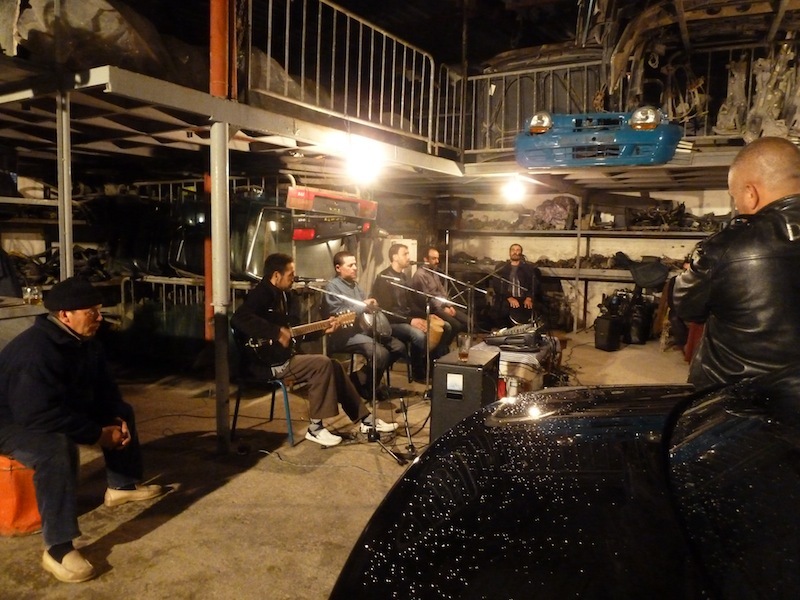 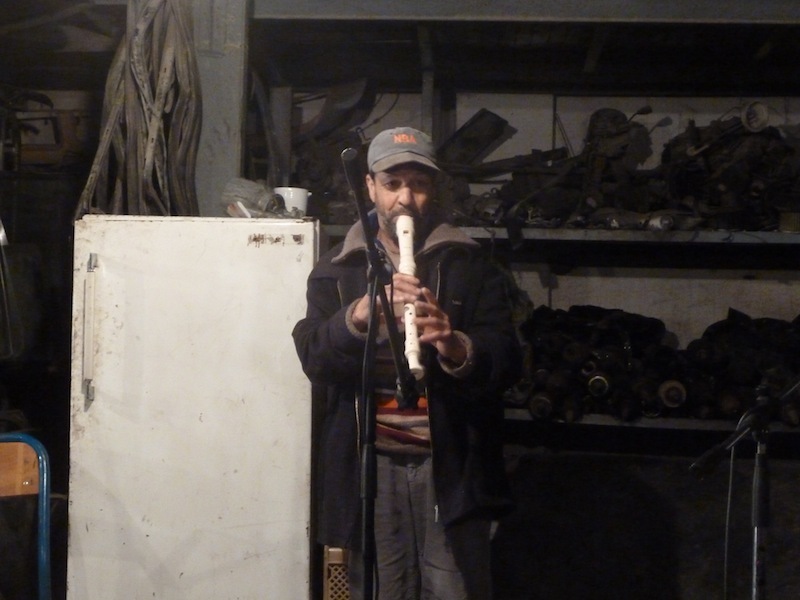 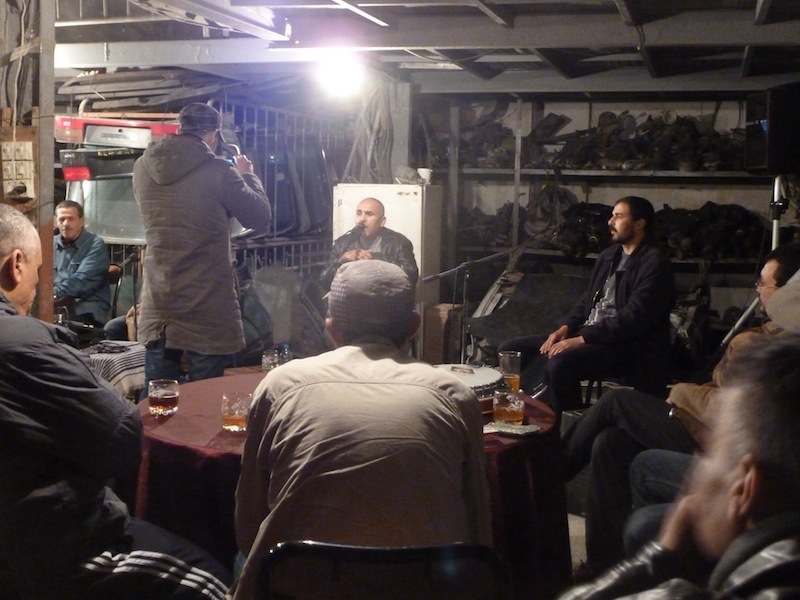 Here, in the middle of an industrial estate, I was led to a car repair warehouse which Groupe al-Redha and friends had taken over for a night of music and dancing. 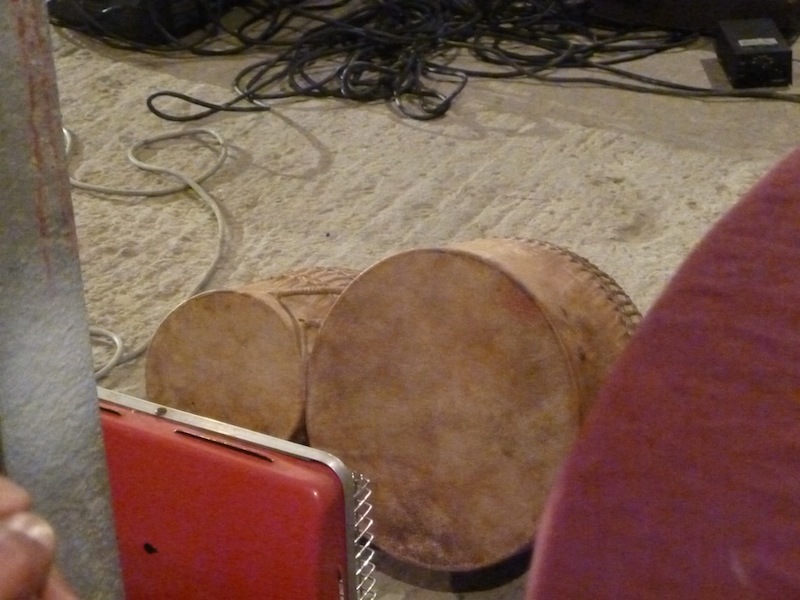 At some point I'll post more text and (I hope) some high quality audio of the night. 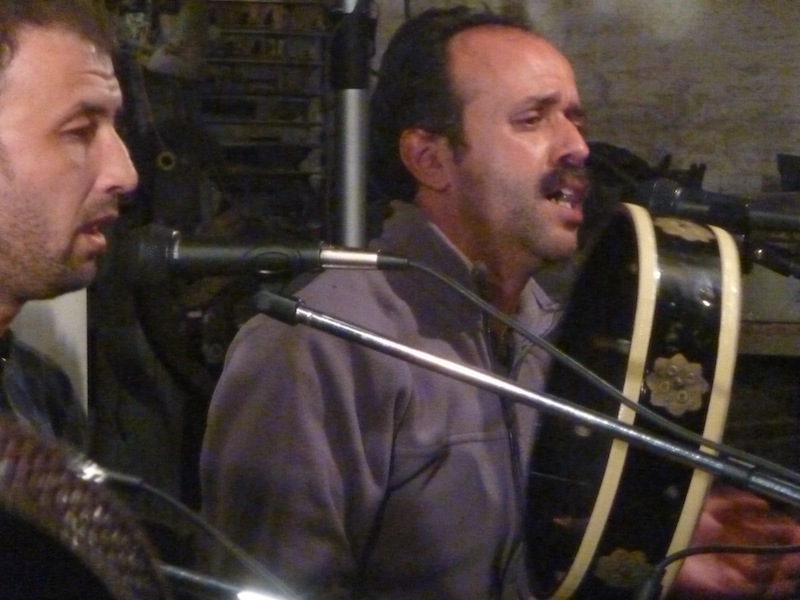 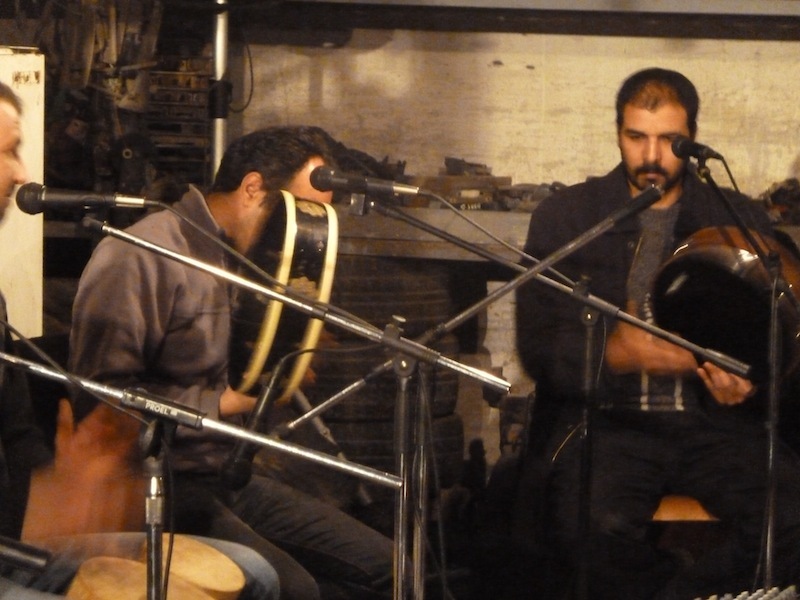 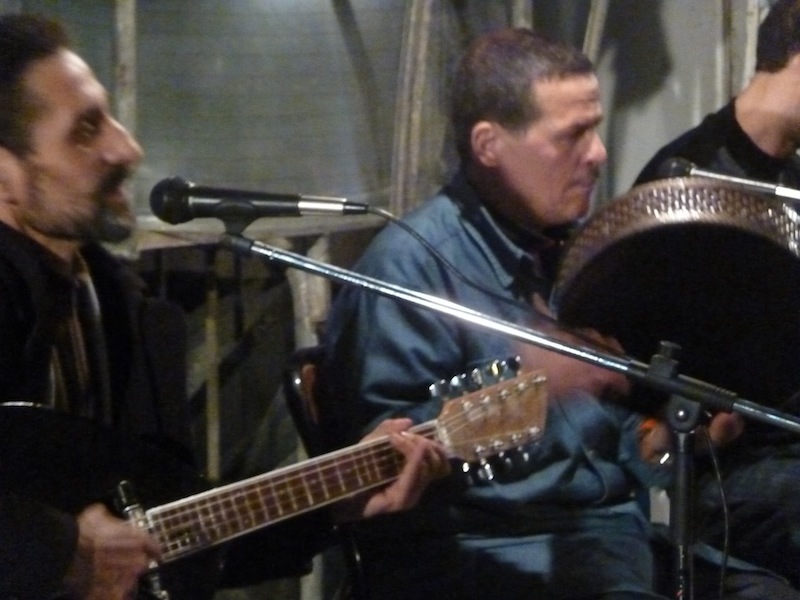 As a taster, though, here's a short but spine-tingling video of Groupe al-Redha in action. Majmu'at al-Redha (clip 1) from Musik Line on Vimeo. The following photos are in no particular order but give a bit of a flavour of the night. 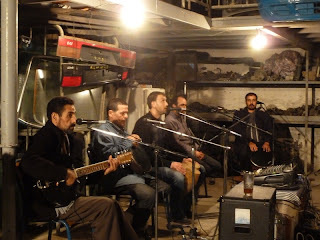 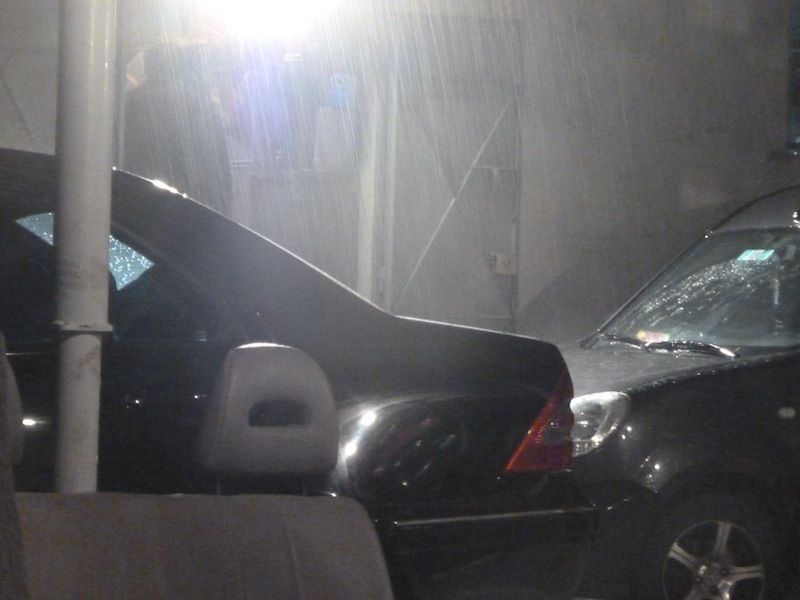 As for much of March in Tangier, it was pretty damp outside. The musicians were in a row at one end of the warehouse and the audience sat around tables, drinking tea, smoking and getting up to dance when they felt like it. 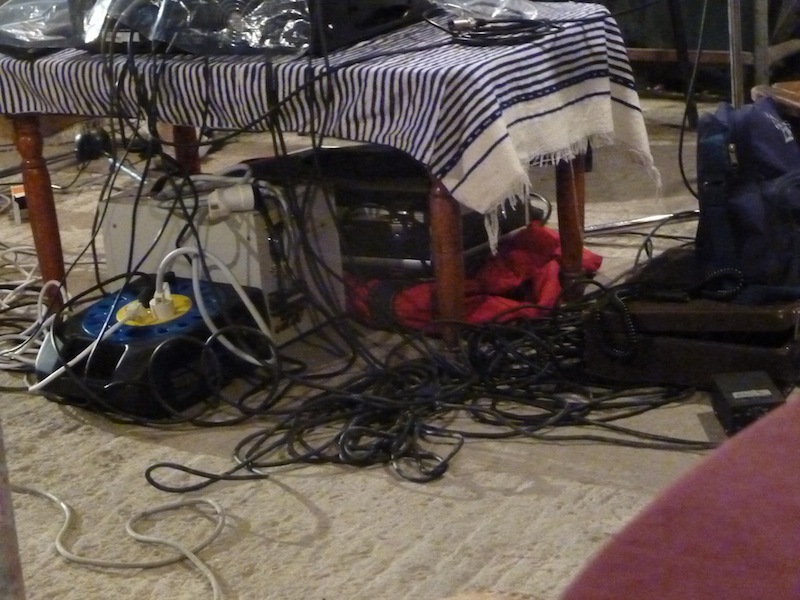 The engineer kept an eye on the desk, set up in the middle of the room. 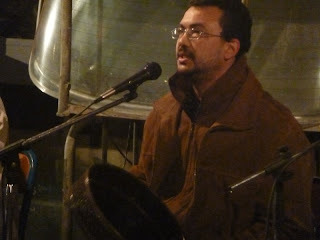 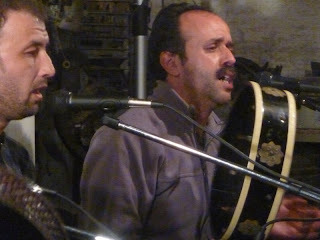 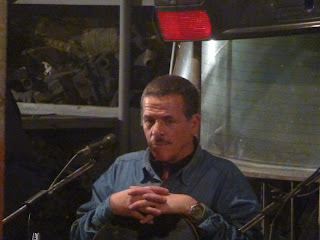 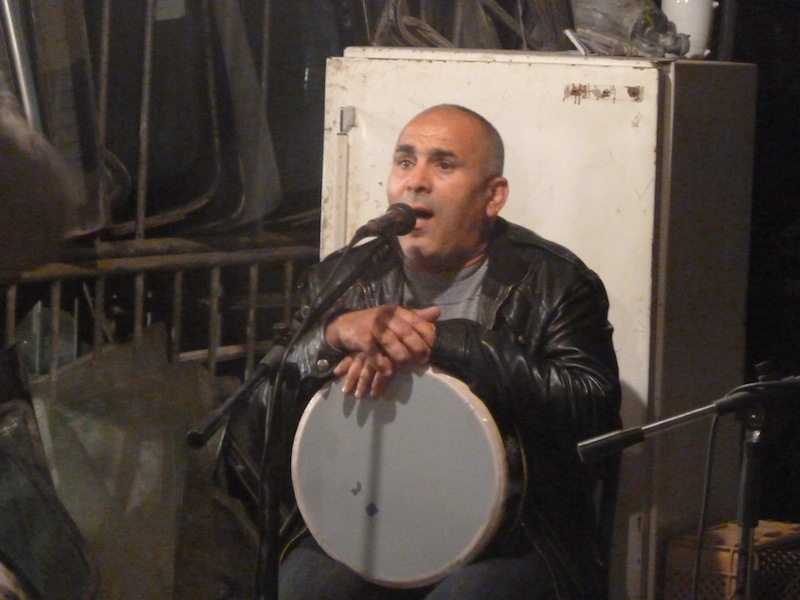 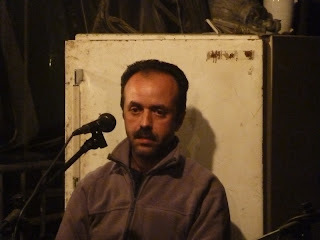 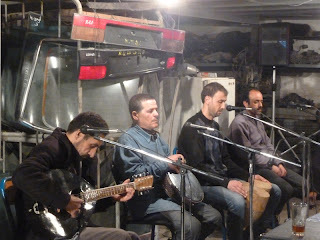 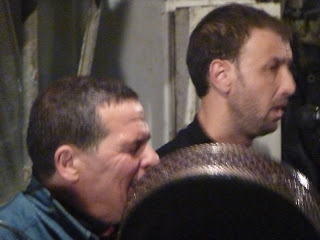 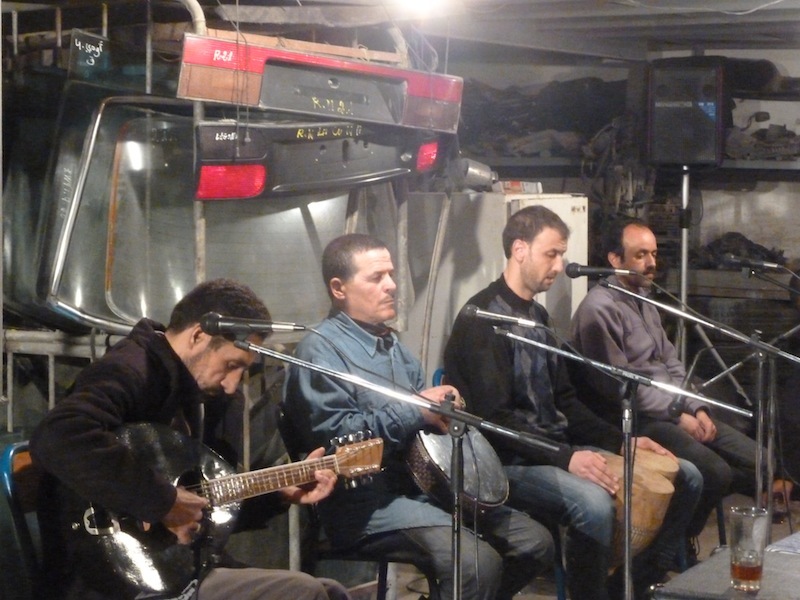 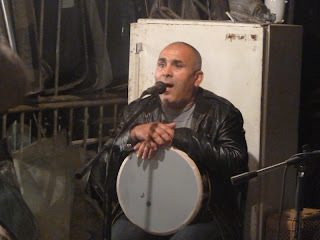 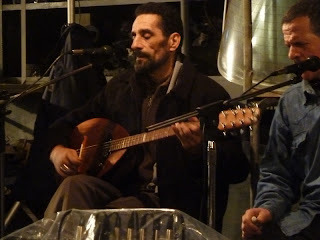 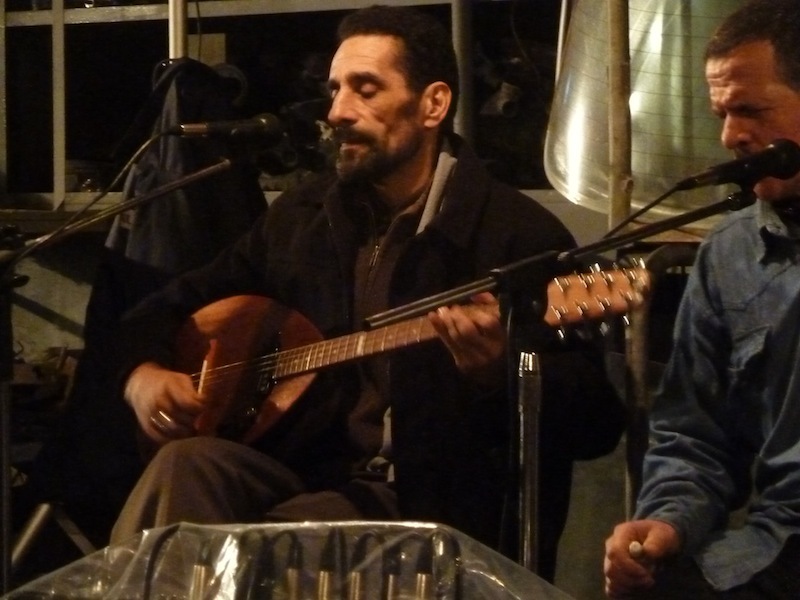 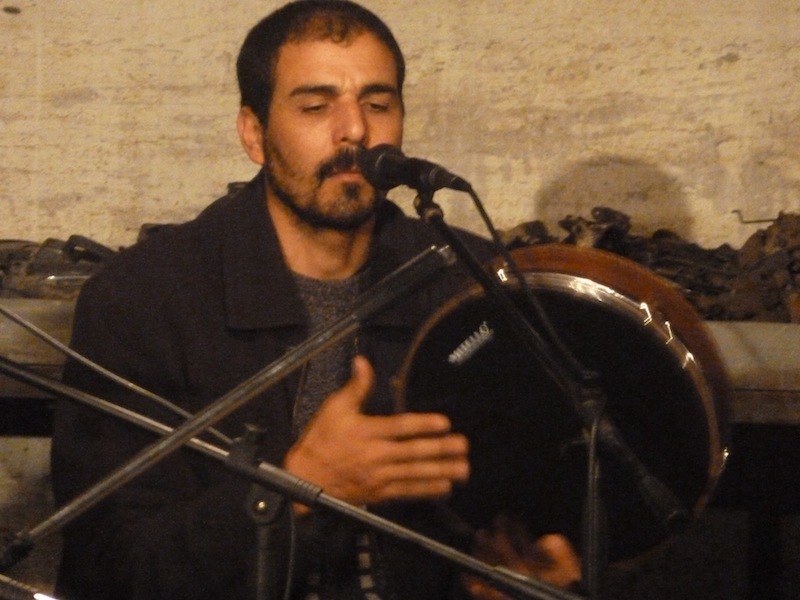 The rhythmic underpinning comes from the tbilat, seen here being kept warm between songs. 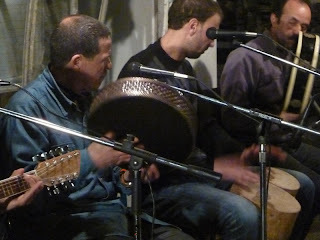 Several bendir - shallow drums somewhat like tambourines - fill in the percussion, while the melody is propelled mostly by hajhouj (three-string acoustic bass), eight-string guitar or banjo, and vocals. There was also a recorder interlude.